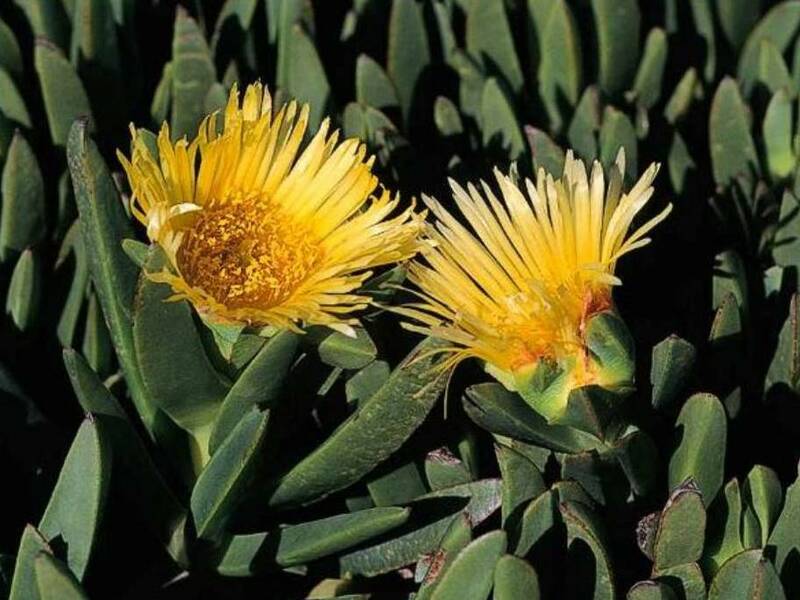 Carpobrotus edulis (Hottentot-fig or iceplant) is a succulent shrub (family Aizoaceae) found throughout coastal California and the Channel Islands, especially in areas with a warm winter climate. Introduced as an ornamental plant, Carpobrotus edulis now inhabits coastal scrub, grasslands, chaparral, bluffs, dunes and beaches where it creates dense mats that increase soil organic matter over time, allowing new non-native species to invade. Carpobrotus edulis propagates by seed and vegetatively. Even small stem fragments can regenerate into a new plant, making control difficult.